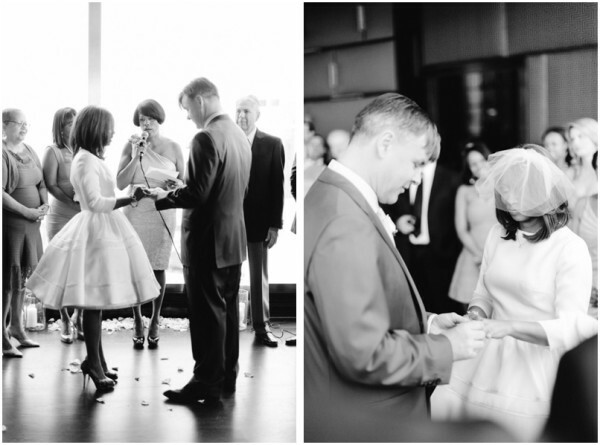 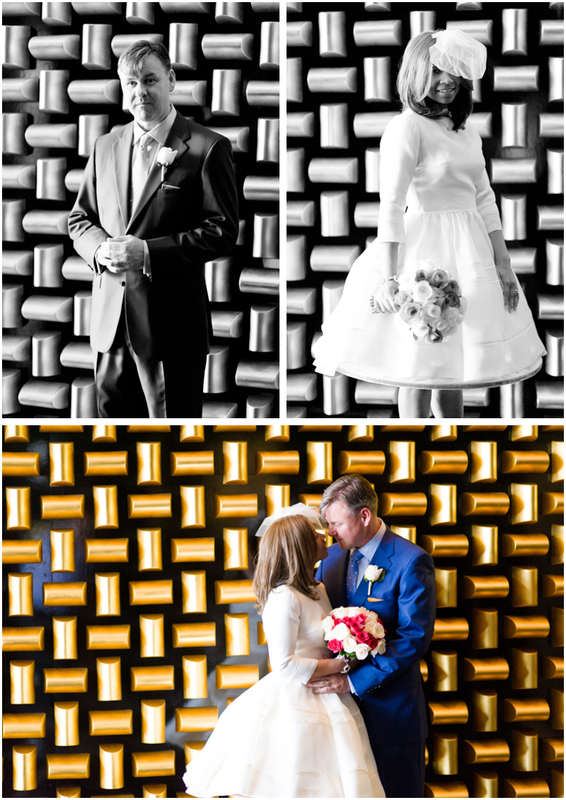 Lisa and Sean travelled from the east coast for their private, very contemporary destination Las Vegas ceremony and cocktail reception. 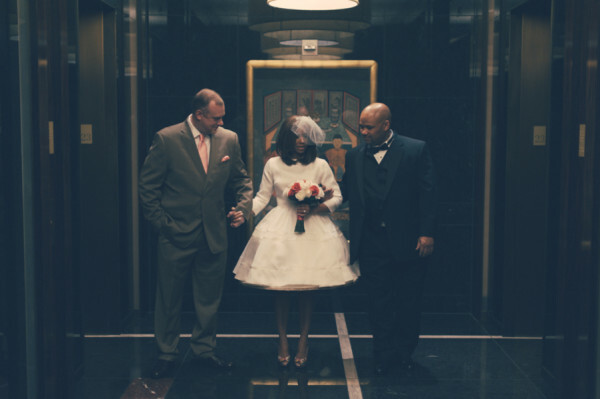 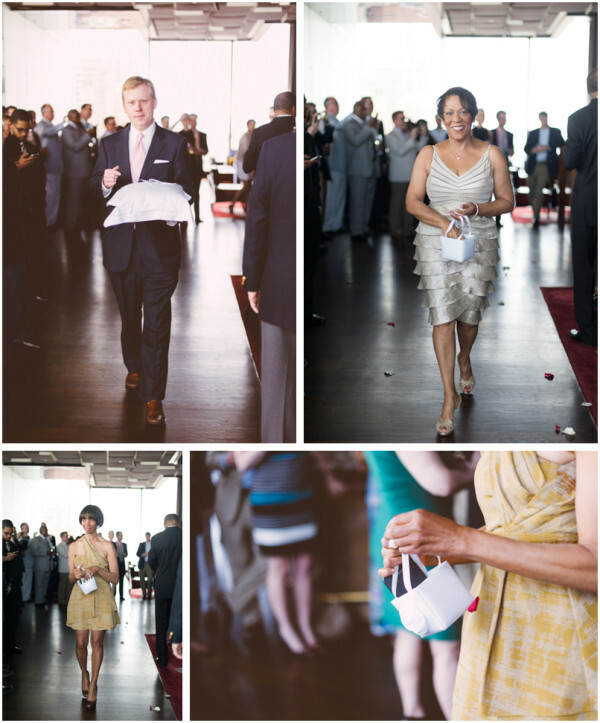 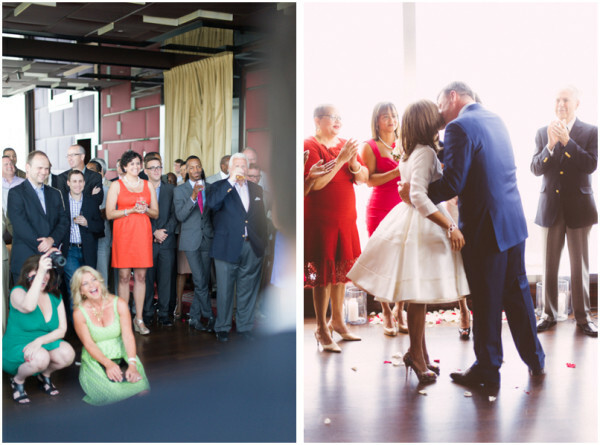 Photographed by Ron Dillon, this couple chose the very modern (yet very cozy) setting of the Mandarin Bar on the 23rd floor of the Mandarin Oriental Las Vegas to host both their vows and a post-ceremony cocktail reception. Boasting spectacular views both day and night through floor to ceiling windows, this is a fabulous space to be married in! 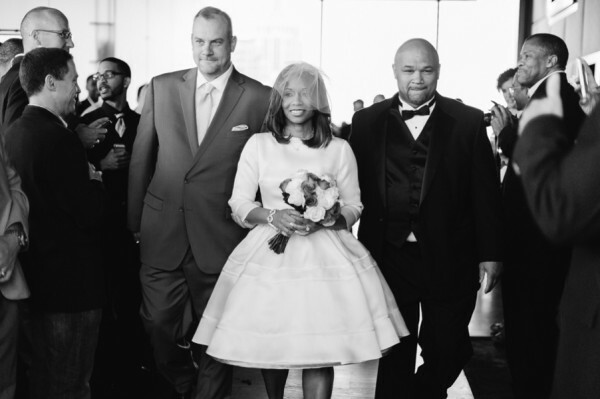 Preceded by two flower “girls” and a ring bearer, Lisa walked the aisle to Sinatra, wearing a full-skirted little white gown from French designer Delphine Manivet that was a modern reinterpretation of a 1950s style; very Vegas! 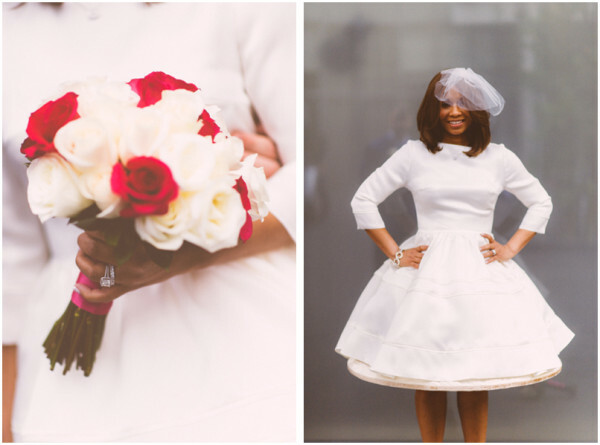 Her hair was styled in a simple bob, adorned by a two tier blusher length tulle veil, and she held a round bouquet of classic red and white roses. 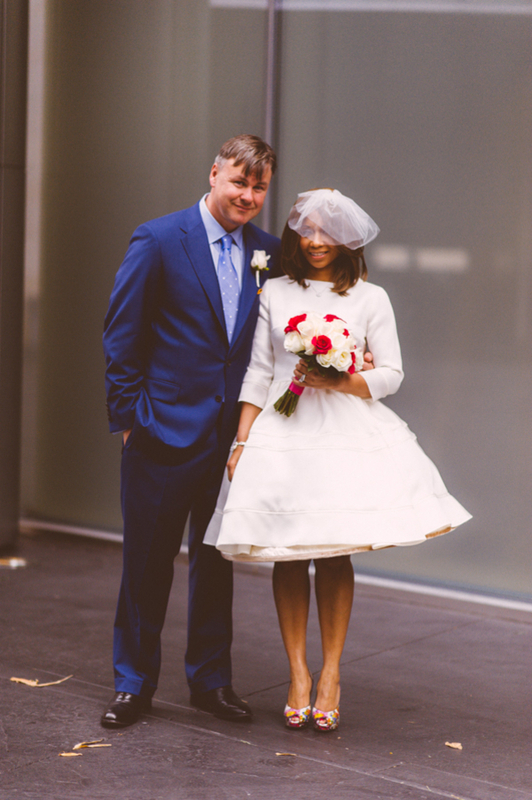 Sean wore a simple blue suit with a single white rose on his lapel. 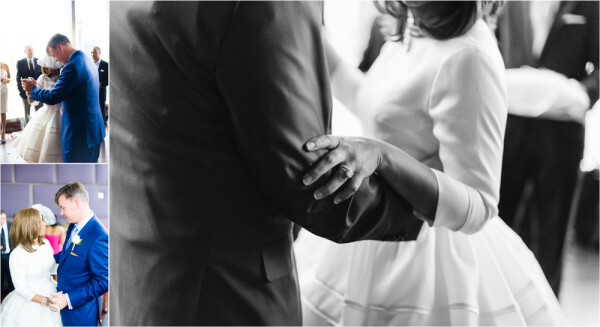 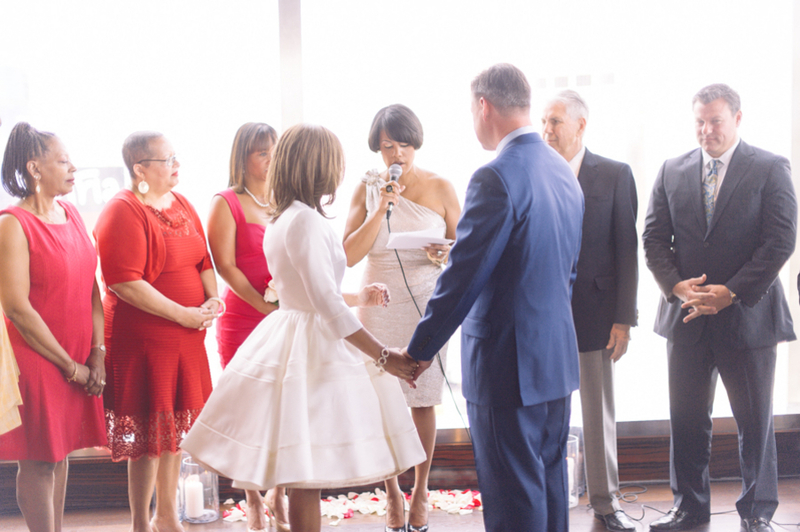 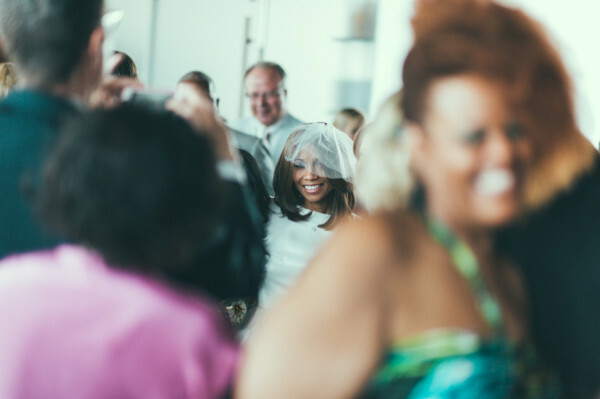 Circled by about 100 friends, family and loved ones who stood during the ceremony presided over by Stephanie Rawlings-Blake, mayor of Baltimore, the couple exchanged vows then shared a sweet first dance. Following the post-ceremony celebration in the converted bar space, the guests embarked on a Vegas style reception: visits to some of the Strip’s finest clubs and lounges. « A Giveaway Good Enough to Eat: Chocolate and Spice Bakery Recipe Book Contest!